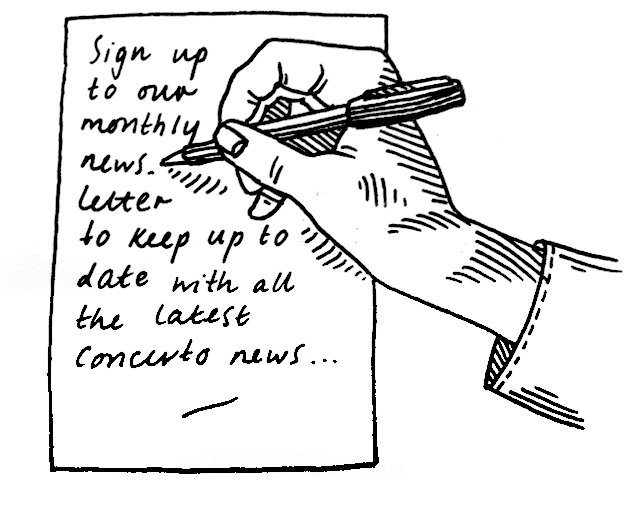 Complete this form to receive our monthly newsletter and to receive a copy of the latest edition of the Concerto Post. NB. Please complete all fields.